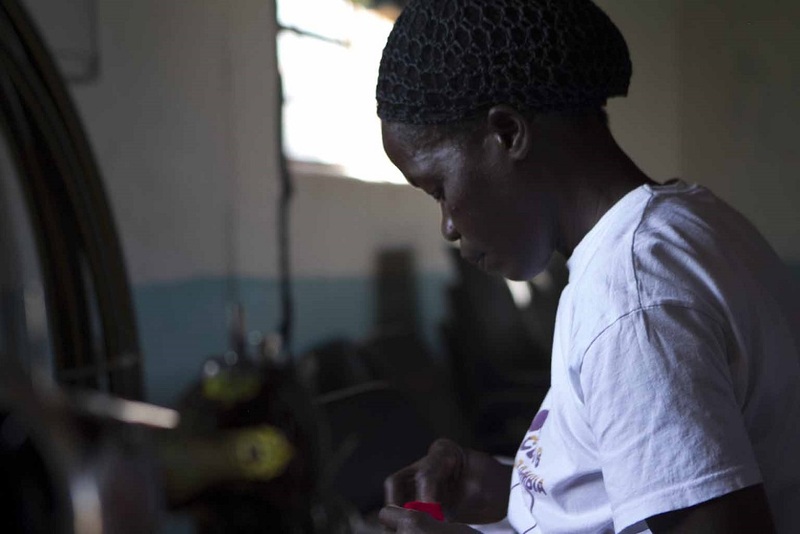 For our this post we interviewed Saviour, our dedicated tailor at the Tailoring Centre. Saviour, how long have you been working at the Tailoring Centre? I started here one year and 4 months ago! But the Tailoring Centre opened in 2013, there were two other tailors here before I came. What did you do before you started working at the Tailoring Centre? I was a housewife and occasionally traded with fish. At a very young age! I always wanted to become a tailor, sewing is my passion. Do you remember the first thing you tailored? I like sewing everything, from small sanitary pads to school uniforms. It feels good to be able to help the community and especially the girls. What are the orders you receive? We make a lot of bags and since I have been here I made about 100 school uniforms and netball kits! There are also the aprons, which we even sell in the UK. What orders are you hoping for in the future? I would like to make more school bags and I am hoping to be making more uniforms for other schools and maybe even tailor suits. What do you enjoy most about teaching in the Young Tailor’s Club? I like watching the students develop a passion for sewing. The students are very dedicated to their projects and work very eager and precise. I also like being able to provide them with a skill they can use in case they don’t go on to secondary school. How many students come to the YTC? There are about 25 students who come in every week. Some have been with the club for nearly a year, which shows how much they enjoy it! I am hoping that the business continues to grow and that we receive many more orders. I am excited about the Christmas decorations and I hope they will become a good income source for the school.